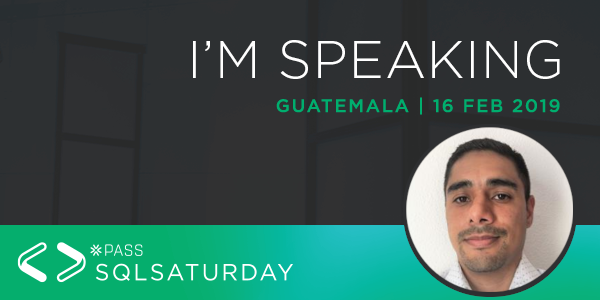 I’m very thrilled to announce that I will be participating as speaker in this year’s SQL Saturday #828 event in Guatemala city! This will be my first time as a speaker on a SQLSaturday. It is very common in the IT field for a developer to switch to database developer or administrator, even when the programming concepts are the same, the skillset required to code T-SQL is different. In this session, we will learn some basic tips to improve our code and improve database performance from early application planning stages to already deployed applications. I will show you execution plans using an excellent tool called Plan Explorer from SentryOne, best thing is that is free.